Vaishnavi V M, a South Bengaluru resident, recently recovered from a fever that lasted two full weeks. “I don’t know what it was. It must have been some viral fever that occurs around monsoon due to weather change.” Vaishnavi says that this is the first time she has had a fever lasting so long; usually she recovers in three-four days. Vaishnavi is among the thousands of Bengalureans suffering from fevers this year. 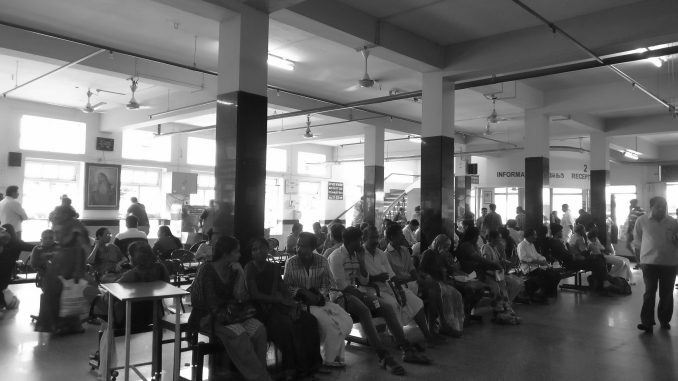 As various fevers like dengue, chikungunya and laryngitis are going around, hospitals are filled with patients. Since all viral fevers have similar symptoms, they are difficult to distinguish in the initial stages, and doctors give medication for symptoms like fever and nausea. Nevertheless, the official number of dengue cases, in particular, has seen a sharp rise this year. This was not the case last year, when Bruhat Bengaluru Mahanagara Palike (BBMP) lacked enough data to project accurate figures. 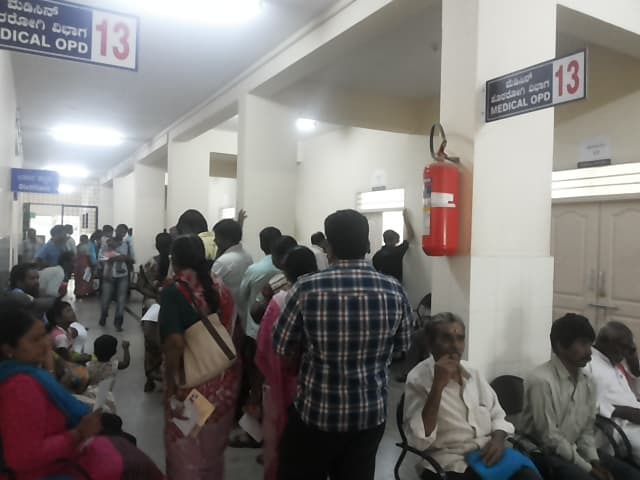 As reported by Citizen Matters, dengue cases used to be severely underreported earlier since BBMP accepted only the cases confirmed at the NIV (National Institute of Virology) lab. But this year, there is a change. According to BBMP itself, there are 4,800 confirmed cases so far. The number has increased because BBMP now accepts dengue data from private medical establishments too, says Dr Lokesh M N, Chief Health Officer (Public Health) at BBMP. Since June 2016, private establishments, including hospitals, nursing homes and labs, are allowed to enter confirmed cases in a web portal, says Lokesh. “Around 3,000 establishments have been given user IDs to the portal. Some 500 of them have reported cases; others may not be reporting as they have not found such cases,” he says. Only cases that are tested positive in ELISA (Enzyme-linked Immunosorbent Assay) test can be reported this way. This year’s numbers are the highest that BBMP has ever recorded; the numbers used to be 604 in 2016, 1249 in 2015, and 823 in 2014. However, even this number would not include every case of dengue. One reason is that doctors do not prescribe testing if the fever goes away on its own without complications. Dr Pankaj Singhai, Consultant for Internal Medicine at Manipal Hospital, says that clinical assessment is more important than testing in dengue cases. “If the fever does not reduce after a few days, and the patient is very tired, dehydrated, unable to have food etc., we may prescribe NS1 antigen test. Sometimes patients come in late without having taken treatment earlier or are unsure of date of onset; in such cases we may prescribe ELISA test,” he says. According to Dr Singhai, Manipal Hospital gets many cases of fever, of which about 20-30 a day on an average get confirmed as dengue. St John’s Medical College Hospital has been getting about 15 confirmed cases daily out of 70-80 patients who get tested, over the past two months. Dr Sanjiv Lewin, Associate Medical Superintendent at St John’s, says that many patients who come with fever, but are not seriously ill and have no warning signs, are not tested. “WHO guidelines recommend that testing during an epidemic is unnecessary in regions known to have dengue, as treatment is based on whether the fever has warning signs. Only when doctors are in doubt, or if the patient is very sick, does the test have value in treatment. So the number of tests grossly underestimates the dengue load in a population. For every positive test, one needs to multiply it approximately 250 times to get the true burden of dengue fever in the population,” he says. Since very few among the affected population get tested, the rest get treated as outpatients and recover, without even knowing they had dengue. Tests done privately don’t get reported: While many mild cases do not get reported at all, non-reporting occurs due to other reasons too. “In the case of patients who come with positive ELISA test results from private labs, the report is not registered with the hospital or with BBMP. So these cases get missed out. Some hospitals also do rapid tests that have lower accuracy,” says Dr Singhai. Cost of the tests: Higher costs of tests also make them less accessible, says Dr Vijayashree Yellappa, Faculty at the Institute of Public Health. The NS1 antigen test, for example, costs Rs 2,500. Leaving reporting aside, cases have been increasing in general, health professionals say. When does a patient need hospital admission? “Fever, body ache and even decreasing platelet count is common among viral fevers. Hospitalisation is needed only in complicated cases when there are symptoms of haemorrhage. Testing hematocrit (proportion of red blood cells), any leakage of plasma (liquid portion of blood) etc are done before hospital admission,” says Dr Paramesh, pediatric pulmonologist and Founder-President of IMA Bengaluru East. In serious cases of DHF (Dengue Haemorrhagic Fever), blood plasma may leak from small blood vessels all over the body, manifesting in symptoms like swollen feet. The resulting reduced blood circulation can affect many organs, which could be fatal. Dr Lewin clarifies that this is different from minor bleeding due to low platelet count. “The platelet count could recover rapidly without major interventions. Often platelet transfusions are misused and unnecessary,” he says. If platelet count goes below one lakh per mm3, hospitals are supposed to monitor the count closely. But the situation is not critical as long as the count stays above 10,000/mm3. Dr Paramesh says that the high number of hospital admissions now could be partly because of social reasons. “Since people are more aware of dengue now, they may ask to get admitted. Doctors may also admit patients if they are in bad condition due to fever. Not all these cases need be dengue,” he says. Dr Paramesh was part of the team that developed guidelines on treating dengue, based on WHO-approved protocols, in 2013. RGUHS (Rajiv Gandhi University of Health Sciences) had published the guidelines. The guidelines say that in the acute phase of fever—the first 2-7 days— hospitals need not admit patients; the fever can be managed from home itself with medicines like Paracetamol, along with physical rest, hydration, monitoring of vitals and blood count. But doctors should inform patients that they should come to the hospital in case of any signs of impending shock, such as abdominal pain, bleeding etc. Patients can be admitted if home management is poor, for reasons such as the person living alone. Other clues for doctors to admit patients are: continuous vomiting, low BP, abdominal/chest pain, platelet count lower than one lakh, rising hematocrit (red blood cells), symptoms of plasma leakage, obesity or co-morbid conditions like diabetes, bleeding in nose/gums etc. Progression to hemorrhagic fever occurs as acute fever reduces. Why are viral fever cases increasing? Environmental degradation is a major reason all doctors point to. “Bengaluru is also growing rapidly. With so much overpopulation, more waste gets thrown around and there is more water stagnation, where Aedes Aegypti mosquito can breed,” says Dr Paramesh. Dr Singhai says that one reason for the rise in cases could simply be that dengue has been around for a while. “When a viral fever becomes endemic to an area, many people will be carrying the virus without showing symptoms. It just requires an Aedes Aegypti mosquito to bite a carrier, and transmit the virus to the next person it bites. Earlier dengue was seasonal, now we get cases throughout the year,” he says. High rates of building construction, intermittent rains and water storage in open barrels in households are other reasons doctors and government officials point to. But they say that despite the increase in cases, there is lesser cause to worry now. Dr Vijayashree says that no studies have been done to establish if the severity of dengue fever has increased. But as per doctors’ anecdotes, complications and deaths have been decreasing. Dr Arvind Kasthuri, Professor at the Department of Public Health in St John’s Medical College, says that complications in dengue are associated more with reinfections; those infected a second time could develop complications. Dr Prakash says that only one dengue death each has been reported this year and the previous year in Bengaluru. This could be far from truth, as BBMP has been accused of underreporting dengue deaths, for example, in cases that lack confirmed test results or when a hospital death is of a person who is not a Bengaluru resident. However, overall, doctors say that there is more panic around dengue than warranted. Dengue is now common enough that, if treated early, it can be cured like any other viral fever, they say. Fever? Make sure it’s not dengue! Bangalore has been witnessing variety of fevers this monsoon, some of which are dengue cases. Early detection can reduce the pain and trauma whole family has to endure if a child is affected with dengue. 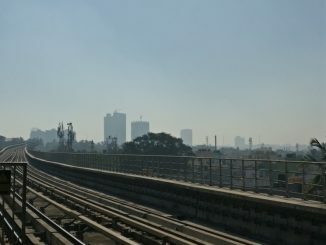 Bengaluru’s air quality has been worsening over the years. But there are also a number of eager beavers trying to track air pollutants and find solutions. Though the app claims to be providing 637 government services, that’s not the reality. It can make your life easy to some extent, providing BBMP complaint service, safety features, BESCOM bill payment etc. Dengue has become so common in Bangalore. 2 of my friends are recovering from it. I myself had it 2 years ago. People dont realize that if people in your community or your own house are getting sick then they are at high risk of getting it too through mosquito bites.